River Hills would love to build your custom home in Boerne! Boerne is a small town Northwest of San Antonio. It offers small town charm and a historic past that lets you escape the big city. It is a beautiful, undeveloped area where you can enjoy the Texas Hill Country without the undesired development that most areas surrounding Boerne possess. Downtown Boerne offers small businesses, historic buildings and quaint mom and pop shops. They have a beautiful historic plaza, where the communities comes to celebrate concerts, festivals and other exciting events. Boerne has six parks with recreational areas and the school system is one of the most desired in Texas. If you’re looking for hometown charm, Boerne is the answer. If you’re looking for land and lots in Boerne, River Hills Custom Homes would love to help you find exactly what you’re looking for. The communities listed are just a few of the communities that allow custom homes her in Boerne area. If you do not see your community, please call us today and one of our sales counselors will give you all available options. River Hills Custom Homes can help locate land, design your custom home, and build your custom home to your exact specifications. We have a unique program that will give you the cost to build on each individual lot. This gives our clients the true cost, not just the perceived real estate value. The full analysis is free and highly recommended before you buy land. We would love to be a part of your dream home! River Hills offers free on site analysis of costs that are specific to each individual situation. Once an overall cost to build is agreed upon, our team can assist your purchase of the land with no obligation to build. Our process is designed to provide an estimate of the total cost of the project before you commit to buying a specific tract of land. 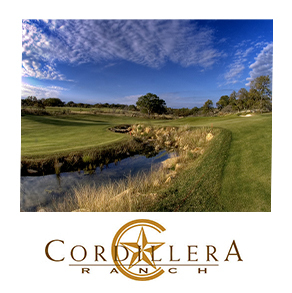 Boerne is one of many communities where we build in the Hill Country. River Hills offers free on site analysis of building costs that are specific to each individual lot. Once an overall cost to build is agreed upon, our team can assist your purchase of the land with no obligation to build.